If you are in search of a lovely waterfront property on Lake Wylie, you won’t want to miss this charming home on Twin Coves Lane. The property is off the beaten path, giving it a sense of privacy and seclusion, while still being extremely close to every business and restaurant that bustling Lake Wiley has to offer. Plus, with big main channel viwes and a move-in ready home, you can’t go wrong. 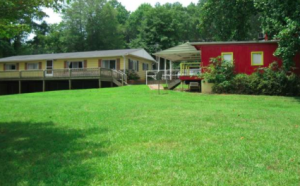 This home features three bedrooms, one and a half bathrooms occupying 1,300 square feet on a lot that totals almost one and a half acres. The home features brand new carpet and a two-car carport, as well as a boat house, deck and floating dock for your boating needs. 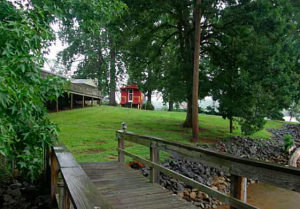 Furthermore, the huge tree-lined property and fenced yard is great for playing or entertaining with friends or family. And, the property includes and old caboose! 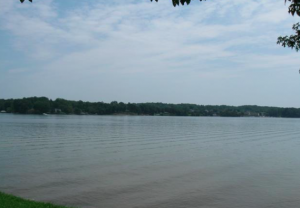 This lakefront home offers a fantastic opportunity to reside in the ever desirable town of Lake Wylie, with its picturesque landscapes, avid boating community, thriving local economy, and easy access to Charlotte’s big-city amenities. Moreover, the lucky owners of this Lake Wylie home can take advantage of South Carolina’s low taxes. Take a look at this fantastic property today, because at $335,000, you will not want to miss this opportunity to live on the water in one of the best locations. Call 803-831-8588, or visit our website at LKWRealty.com.